Justine Aku Kpormasi holds a Master of Arts (MA) in Peace and Development (PDS) and Bachelor of Arts Degree in Geography and Economics all from the University of Cape Coast. She started her Teaching Career 30 years ago after she graduated from St. Francis Training College (now College of Education) with Teachers Certificate "A". She is currently a tutor at Okuapeman Senior High School. Her profession gave her the opportunity to participate in several training programmes, workshops and conferences within and outside Ghana. She is a proud parent of a child with an Intellectual Disability and sees this as an opportunity to be a better voice for his child and others like him and also to support Inclusion Ghana's work in the fight for the fundamental equal rights for Persons with Intellectual disabilities. Kofi Anokye Owusu-Darko is a Chartered Banker, a Chartered Professional Administrator, a licensed Management Consultant and a Registered Organization Development (OD) Practitioner with the International Society for Organization Development (US). Kofi Anokye is also a Certified International Professional Manager (IPMA-UK), has a Post Graduate Diploma in Financial Management (ACCA-UK), an Executive MBA in Information Technology Management from Paris Graduate School of Management, France, and a Master of Laws (LLM) in Information Technology & Telecommunication from the Glasgow School of Law (University of Strathclyde). Kofi was a pioneer and very instrumental in setting up the Royal Bank. As Senior Vice President, Banking Operations and Consumer Banking, he established the control systems, policies and structures in setting up 11 branches in the first year of the Bank�s operations. 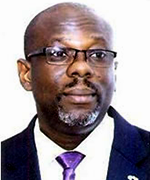 Kofi is the Chief Executive Officer of Ghana�s National Pensions Regulatory Authority and has many board experiences in both the NGO and Financial Sector. He is an examiner in Organization Development & Change with the Chartered Institute of Administrators and Management Consultants (CIAMC). Kofi loves research and writing and has published articles in both the Ghanaian Times and Business & Financial Times newspapers on legal issues on the deployment of information technology in Ghana. 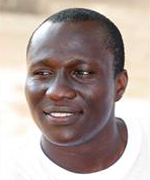 Kofi joins the board of Inclusion Ghana with rich transferable professional skills and invaluable expertise. His passion is to always give back to society. Ing. Frederick Nii Amui Oblitey is a Chartered Electrical Engineer, Chartered Insurer and a Lawyer. He worked for the State Insurance Company Limited (SIC) as Risk Engineer and Loss Adjuster and finally rising to the position of Head, Risk Management. Before joining SIC, Ing. Oblitey worked with Millicom International Cellular (TIGO) as Manager, Applications Programming with special focus on value added services (VAS). Earlier he had worked with Electricity Company of Ghana (ECG) as a Design Engineer, and also with Data Telenet Limited as an IT Projects Consultant. Mr. Oblitey has executed major engineering assignments and risk surveys, loss surveys and claims adjusting assignments for several companies including Tema Oil Refinery, VRA, Sunon Asogli Power Projects Limited, Bulk Oil Storage and Transportation Limited (BOST), Diamond Cement (Ghana) Limited, and Ghana Water Company. Mr. Frederick Oblitey holds a BSc. Electrical Engineering degree from KNUST, an Advanced Diploma in Insurance and Risk Management from Chartered Insurance Institute (U.K) an LLB from University of Ghana Legon and a BL from Ghana School of Law (Ghana). He is a Corporate Member of the Ghana Institution of Engineers. He is a great advocate for persons with intellectual disabilities and joins the Inclusion Ghana board with his experience with working with children with special needs from the United Kingdom. Jessie Chomaffo is a mother of three children, one of whom is a person with intellectual disability at 18 years. She holds a Certificate in Advance Catering from the Ho Polytechnic, and did her National Service at the Ho Regional Administration as a cook. She also worked as a Home Economic Tutor in the Ave-Dakpa Senior High School for 2 years, and is currently teaching Home Economics at the Sunrise Junior High School in Ho. Jessie is also the Chairperson of a Parent Self-help Group in Ho, a position she has occupied for the past 3 years. This position offered her the opportunity to attend a number of workshops/ programmes organized by Inclusion Ghana, so she is well abreast with the work of Inclusion Ghana. As a mother of a child with intellectual disability, she is motivated by the hidden potentials of all children with intellectual disabilities and will therefore use her experience as a mother to promote the rights of persons with ID in Ghana. 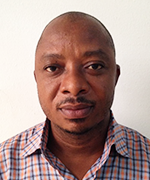 Bernard Boaheng is a professional educator with over fifteen (15) years of teaching experience. He is the Executive Director of SpLenDiD and has spent the last six years developing interventions for out of�school children with Specific Learning Difficulties. Bernard has also developed a Repetitive Scaffolding Model to help promote interaction and learning when concepts and skills are initially introduced to children with learning difficulties. 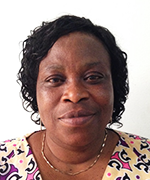 Bernard has trained over a thousand Resource Teachers of the Special Education Division of Ghana Education Service on identification and management of Specific Learning Difficulties in children. He has a Master of Science degree in Education and holds a Bachelor�s degree in Basic Education and a 3-Year Post Secondary Teachers� Certificate 'A'. Additionally, he has certifications in Montessori Practice and Philosophy, NGO Management and Leadership. Bernard has a passion for education and a big heart for children. Honourable John Majisi is a Member of Parliament (MP) for Krachi Nchumuru Constituency in the Volta Region. 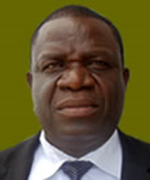 He is a member of the Committee for Members Holding Offices of Profit and Committee on Lands and Forestry. He is a former lecturer with the University of Education, Winneba (UEW) and also served as the Co-ordinator for Community Based Rehabilitation and Disability (2010-2012). He has an MPhil Special Education (2004-2007) and B. Ed Special Education (1993-1996) all from the University of Education, Winneba. He also has a Diploma in Education of the Visually Impaired (1988-1991) from the College of Special Education Mampong. 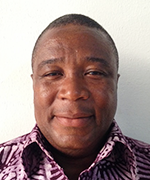 Honourable John Majisi joins the board of Inclusion Ghana with great expertise as a legislator of Ghana�s Parliament with very special interest in the welfare of persons with intellectual disability. Abubakari Mahamouda has an intellectual disability which manifested itself during his schooling days as a child where he had difficulty in his studies and could hardly memorize anything taught no matter the number of repetition of the same subject matter. Due to his communication problem coupled with periodic mental/memory shutdowns, Mahamouda consequently, could not succeed in studying the normal academic courses like his other colleagues. As a result of this challenge, Mahamouda majored on a language known as Arabic and thus, defied all odds to become an Arabic teacher in the Wa Municipality of the Upper West Region. 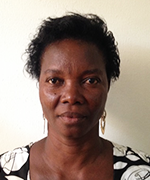 Mahamouda is an active member of the BeLT FDN-Kangyire Self Advocacy Group in Wa and has learnt to live independently. 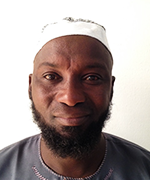 Mahamouda�s experience as an Arabic teacher is a living proof that, Intellectual Disability is not Inability and if given the needed capacity will be able to advocate for and on behalf of PWIDs drawing inference from his profession as a teacher. Ishmael Nii Laate Hammond is a Senior Social Worker and Awareness Officer at Special Attention Project (SAP). 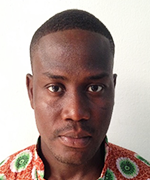 He has over six (6) years experience in promoting the educational rights of children with Specific Learning Difficulties in the Ghanaian media and with other key stakeholders in the education sector. He has over the years developed skills in program and financial planning, management and public speaking. Ishmael has a life time commitment and belief that, all children can learn, irrespective of their physical, intellectual or behavioural challenges; and rather it is the system, structures and methods of the Ghanaian education system that should change to ensure that all children of school going age are enrolled in school, and are being supported to learn. Ishmael holds a degree in Economics, diploma in Social Work and professional certifications in Project Management and Effective Public Speaking. Brandford Tay brings on his plate 29 years of experience as an engineer and a trade union leader. Brandford holds a Masters and Postgraduate degrees in Organization Development from the University of Cape Coast with extensive experience in fieldwork, rural and community development. 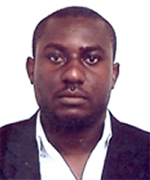 He has been a consultant for over 5 years in organization development and management consulting. His areas of expertise include change management, capacity building, project/program management, dynamics team building, emotional intelligence, organizational team effectiveness and culture assessment. He also has strong facilitation and communication skills. As a human rights activist, his commitment to working in the field to promote the quality of life for persons with disabilities cannot be over emphasized. He is currently the project manager for Kekeli Foundation, and the Vice Chair of New Horizon Foundation of the Blind; both NGOs advocating for the rights of persons with disabilities in Ghana. He is the Chairman of the Post and Telecom Workers Credit Union. Auberon Jeleel Odoom is a Registered Organization Development Practitioner with the International Society for Organisation Development, USA. He has significant knowledge and experience in Training for Impact Approaches, Management for Development Results (MfDR) Planning, Organizational Assessments, Emotional Intelligence Training, Research, Strategic Planning, Policy Influencing, and Setting up Monitoring & Evaluation Systems. He is a webmaster (New Jersey Institute of Technology), and has certification in Java Programming (Massachusetts Institute of Technology). Jeleel is a strong nationalist and a committed development professional. He is currently the board secretaries of the Autism Society of West Africa, the Ghana Federation of Disability Organisations, and the Ghana Civil Society Platform for Social Protection. He is also a member of the board for Inclusion Africa and an expert representing the African Disability Alliance to provide technical assistance and monitor the African Union and its organs in mainstreaming disability in different programmes. Jeleel believes that underneath everything we are, underneath everything we do, we are people, connected and interdependent. When we reach out a hand to one person with intellectual disability, we influence the condition of all. Together, let's inspire hope and create opportunities for a better tomorrow for persons with intellectual disabilities.